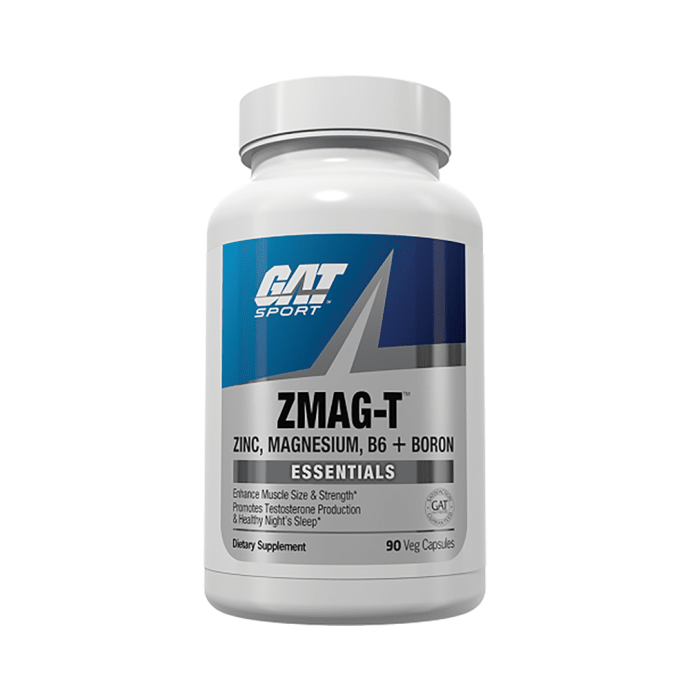 GAT Sport Zmag-T Veg Capsule is specially formulated to raise testosterone levels and to induce sound sleep. Enriched with the powers of minerals such as Zinc, Magnesium and Vitamin B6, it aids in improving muscle strength and recovery. It also helps in muscleoskeletal development and aids in increasing muscle size.